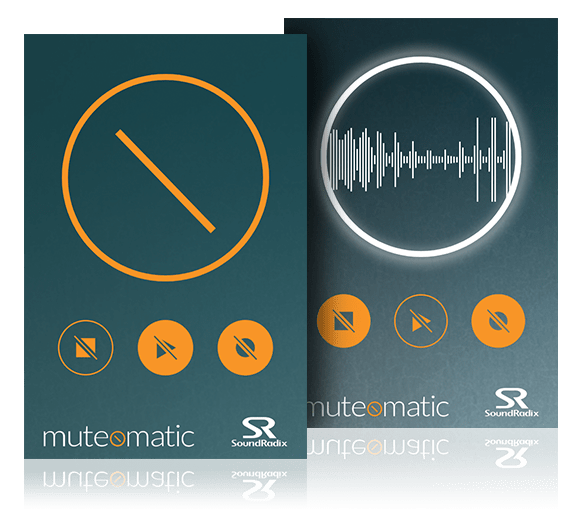 MUTEOMATIC is an elegant and simple plug-in that automates the activation of a talkback or listen microphone channel according to your DAW’s transport state and boldly displays the channel's activation status. Did you ever find yourself talking to the band in the studio excitedly, only to realize that you’ve spoken to yourself for the last few minutes, because you’d forgotten to press the talkback button? Or did you ever have to put out a fire started by a client who had commented on a talent’s attitude while the talkback mic had been unwittingly left open? MUTEOMATIC will automatically mute the talkback or listen mic channels according to your DAW’s transport state, opening the mic automatically when the DAW stops and muting it back when the DAW is in playback or recording mode, all while clearly displaying when the mic is open or muted, so that you won’t find yourself in awkward positions or have to play fireman again. In addition, MUTEOMATIC can be used to automatically mute long effect tails or a monitor’s vocal effects when the DAW is no longer playing, clearing the air for intelligible conversation. 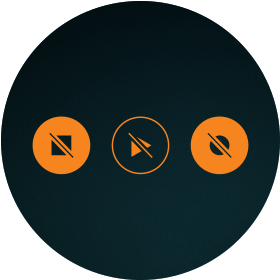 MUTEOMATIC will automatically mute the talkback or listen mic channels and boldly display the channels’ states so everyone in the room knows when a channel is open. Whether you feel the urge to encourage the artist while recording or whether you need to mute the mic for a discreet conversation, just click on the main display to either temporary talk or mute the mic. Set MUTEOMATIC to mute at any transport state to suit your needs. Just click on one of the transport icons to change MUTEOMATIC’s settings.